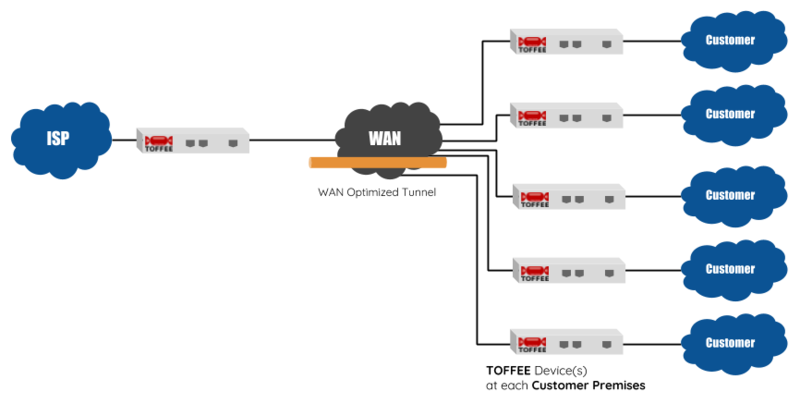 Large Infrastructure or ISP setup: In case if you are an ISP and interested in deploying a large customer WAN Optimized network or an add-on enhanced (WAN Optimized) network for select few customers, then you can deploy something as shown below. Although this case is not meant for hobby/DIY users. This is a feasible solution for high-end professional application and the same can be deployed as shown below.